New to the hugely popular line up of Vaikobi PFD’s is the sleek grey/ Fluro Yellow colourway of the Ocean Racing PFD. In exactly the same design as the Hi Vis Yellow and Orange versions, this PFD features an easy access hydration hose holding system as well as two zip up fully enclosed front mesh pockets for storage of key safety items required for paddling offshore. 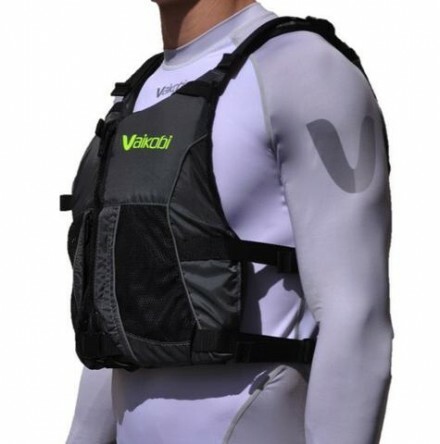 The Vaikobi Ocean Racing PFD has been carefully designed by the world’s best paddlers to make you feel lighter and more comfortable in the boat. This PFD features a Hi -Vis Yellow panel on the back which will make you highly visible to those around you for when you want to be seen.